"Critical education about race and its role in our society shouldn’t be an elective," writes Danielle Derrickson, a recent graduate of UW Tacoma. When I was seven years old, my mother pulled me and my four siblings out of public school and decided to home-school us. I had fewer social outlets than my publicly or privately educated peers. In the few I did have, my family and I were typically the only people of color. And whether it was through trite race jokes or age-old stereotypes, our presence was marked by cruel and consistent othering. When I re-entered the public education system in ninth grade, I still felt like the odd one out, except for a different reason, this time a curricular one: I studied algebra, learned chemistry and read some of Shakespeare’s most famed works, but I can’t remember spending more than a week learning about a person of color. In class, race rarely came up, except as a punchline to someone’s joke. If there’s anything I learned during my short second stint in the public education system, it’s this: We need to add comprehensive race education to the core curriculum. When I got into Running Start, a state program that allows high-school juniors and seniors the opportunity to earn college credit, one of my first courses focused on systemic inequality and privilege. Not only did I learn about the history of racism; I also learned how our country has ensured its lasting presence. But what about students who never attend an institution of higher education, or those who do go to college but aren’t required to study racial inequality? How can younger students be exposed to lessons I had to wait to learn? Seattle Public Schools’ Ethnic Studies Task Force has spent a little over a year working to answer these questions. In January 2017, the NAACP served Seattle Public Schools with a resolution to implement ethnic studies into its curriculum and course offerings. But the project hasn’t been as simple as purchasing ethnic studies course books and supplying them to classrooms. “The field right now — in terms of ethnic studies — is very undeveloped in the sense that you can’t go to a publishing company and actually find an ethnic-studies curriculum,” said Kyle Kinoshita, chief of curriculum, instruction and assessment at Seattle Public Schools. According to the Ethnic Studies Task Force website, in March 2018, around 40 teachers across the district piloted ethnic-studies coursework. Despite its short implementation, a survey administered before and after the pilot showed that the trial still had an effect on students. The courses helped them explore their identities, privilege and what it means to be part of a “historically oppressed group,” Kinoshita said. My mother often had conversations with me about racism, but those lessons didn’t penetrate until later in life. The evidence of my color was present in the curl of my hair, the light-brown tint of my skin and the cluster of freckles that adorned my face, and still, it took me 16 years to realize that our society’s “post-racial” facade was nothing more than that — a farce. There’s a certain amount of privilege to my story. Before college, I defined racism as bad jokes and a lack of representation that stirred an insatiable feeling of contempt for the way I looked. But for others, racism often means life or death. Trayvon Martin, Michael Brown, Eric Garner, Tamir Rice, Sandra Bland, Freddie Gray, and too many others taught me that. Critical education about race and its role in our society shouldn’t be an elective. As matters of police brutality, the racial wealth gap and immigration remain on the forefront of public debate, students at every level of the education spectrum must be prepared to deal with these issues in an empathetic and intellectual way. We need to stop banking on college to open students’ minds to realities that may be similar to — or differ from — their own. We need to talk about race in public school classrooms. 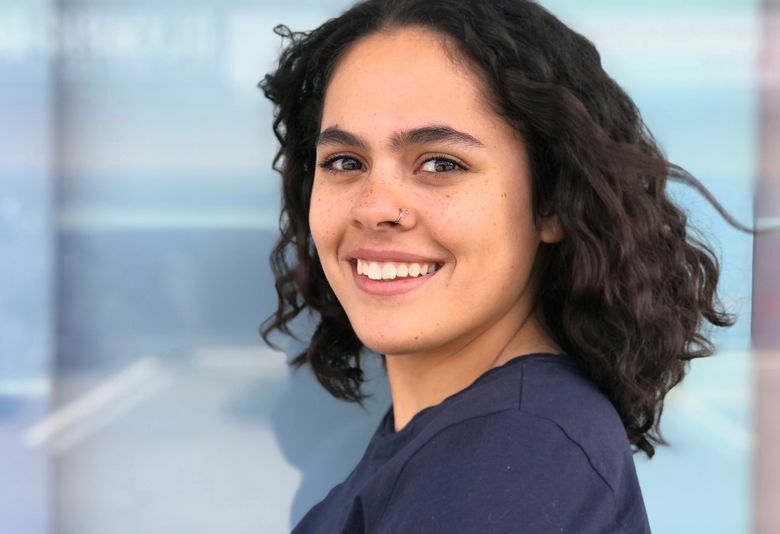 Danielle Derrickson graduated from UW Tacoma in 2018 with a degree in communication, which she hopes will help her affect change in her community as both a journalist and citizen.